With the miniaturization of technology, we’re now able to do some pretty crazy things with computers the size of credit cards. [Dennis] has been working on a rather unique project — he calls it the Cat Exploit — we call it the Internet of Cats. By making pet-wearable tech (is that a new term? ), it’s possible to create a mini war-driving server that stray cats (or other small animals) could wear. As they roam the streets, their feline-augmentation searches and taps into open or badly secured WiFi networks, repeating and spreading the signal to other Server Entities (other network-enabled cats), opening up the networks for all to use. The hardware consists of a Raspberry Pi, WiFi dongles, and a power bank, all packed into an acrylic housing that can be worn on the collar. It runs a web-server, acts as a router, and a regular access point. When you connect to the kitty, you’ll have immediate internet access, assuming a nearby network has been acquired by the cat. Seriously, what’s next? Speaking of Cats, did you know not all Cat 6 ethernet cables are the same?? ← Do You Know Rufus Turner? That’d make an interesting entry for Pi Zero contest. You don’t need USB to have WiFi. Hey, it doesn’t need an USB hub! You can probably even make it on ESP itself, BTW. I was thinking the same thing and apprently someone else was as well. Wow, two of you really needed the sarcasm tag to be there, didn’t you? Just fine a USB 2.0 compatible cat. Well played sir… well played. Tiny Serial GPS, ESP8266, and a I2c flash storage interface. makes it smaller lighter and a LOT cheaper to give you a tiny wardrive data collector storing WPA and Open AP’s it found. it could even try to connect to WPA and WPA2 AP’s with a small list of known common passwords. not that hard to code this in Lua or Arduino IDE. Also don’t let your cat out to roam the neighborhood. Respect your neighbors. If you have money, use a Gumstix or similar (Toradex is cheaper but doesn’t have wifi). Much more compact and powerful. Can probably save more power too. Gumstix seems overkill in size and price vs an ESP, If you are just logging the location\SSID\encryption type\signal strength of WiFi AP’s an ESP would have plenty of performance. Maybe but the gumstix can probably run some software like aircrack-ng and open up WEP AP’s. You just need the cat to stand still, which is what they are doing 18h a day. I’d even use an AR9331 board – there’s a lot of them, and the WiFi is onboard. A little bit more expensive, but much more powerful. Respect the environment as well. Cats destroy native wildlife. Define native. Those pigeons are not native. And the birds they take down, and the rodents as it happens are beginning to suffer from problems. Not enough food for the birds, and too much garbage for the rodents. Cats are majestic creatures.. You… Eh, not so much. my cats are far too fat to kill anything. Would yu rather have cats or mice? Try a Seeed Linkit Smart 7688. Runs OpenWRT Linux and builtin Wifi, could break it out to an ESP8266 for multiple radios. Its strange. Our friends at Adafruit make a set of wearables. They include the GPS, and had as an idea, a set worn by a d-o-g, via a vest. I on the otherhand immediately thought of something similar. Of course the lucky individual wearing it would have to be big and orange, Or big and black. There’s a reason for that, and a certain logic behind it. ‘pet-wearable tech (is that a new term? )’ Cuter would be ‘pet-ables’. See what I did there? Lol. You mean this is better than GOOGLE’S War-Driving project? I would love to get access to this data. They use the Street View Cars to collect geolocated Wi-Fi data worldwide. RE: Cats… The C.I.A. tried something similar and called it Operation Acoustic Kitty. No one knows when they terminated the project. Who knows maybe DARPA is doing this now. However, you can’t use QUEENS (female cats) as they do not generally roam all that far from home. TOMS (males), however do roam very long distances from home. Sometimes unbelievable distances. 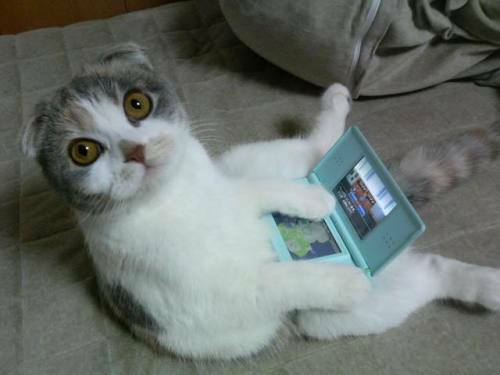 I wondered what relevance the cat on a DS had, but then I realized that there doesn’t really need to be any. According to legend, Acoustic Kitty was cancelled because the prototype, when released across the street from the Soviet Embassy, was immediately run over by a taxi and killed. The CIA says it was just too difficult to train cats to go where they wanted them to. Either is plausible. Delivery McGee – Who knows with those people in Langley VA (USA). They say one thing but do another. There is no information Op A.K. was ever shuttered. The one unfortunate incident was just a maiden voyage on how NOT to do it. Making cat’s do your bidding is very hard but they can be trained as they are very smart. My cat figured out how to to a door knob and I did NOT show it how. They just watch you and try it themselves when your not around. Another nefarious project of theirs was SUPPOSEDLY shuttered by a Director burn-bagging “ALL” the project docs. Then come to find out Adm. Stansfield Turner says NOPE – he found some legacy remnants in his safe. Then Dir George “Rockstar” Tenet testifies to Congress NOPE not 100% shuttered yet. He too finds remnant docs that POTUS JFK was NOT responsible for the total ClusterPhuq after Op “Bahía de Cochinos”. So where’s the TRUTH with those types? They still love torturing animals with gadgets like cockroaches, spiders, birds, dolphins, seals, etc. 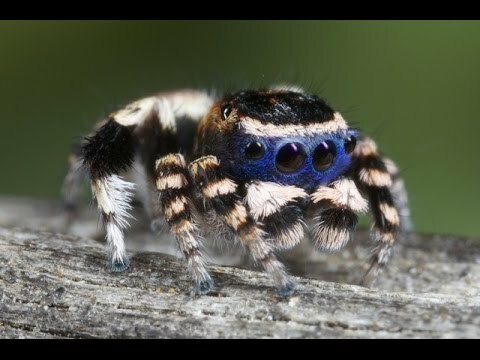 The “spider” thing was recently in the news when the LEOs caught that school bus kidnapper in Texas I think. They didn’t want to say waht sister-agency loaned them the creepy-crawley bug but it was obvious. The bad-guy was in an underground bunker but some how they got “eyes on him”. Guess how? put it on the homeless bumps, not on the poor cats!!! Living in major cities, for every fake there is 15 real ones – plus all the ones with too severe health or mental problems to even be able to beg. Hate the player not the game, tho, ammirite? A cat is a lot less likely to stab you with a knife when you try to put a suspicious looking piece of electronic kit on it. If they want, they could badly hurt you with the claws. But normally cats prefer to love and be loved. I had this idea years ago. I wanted to put it on squirrels though. Was going to call it NutNet. I should have invested. Wow that gives me an idea for a CAT-BASED (or dog) Mesh Network. They do it in India but on the back of postal vehicles. Squirrels are too unreliable and stay too close to trees and get get by cars too much. Would be a nice source for entropy. How ? If you plan on using the position of the animal, it’s not a good source as there can be some pattern in the places where your cat is going. I admit to attaching catnip to a wireless mouse in order to create entropy, yesterday in fact. Shame on this post, trying to get everyone on the “EVERYBODY LOVES CATS” train. It is now (Apple & Micro$oft Lawyers rush out to Patent it). I have one too from Japan for dogs. But I only have a cat. I pretty much know what her meows mean. They are only about 9 of them and all are meant for human interaction. Eye blinks and other body gestures are for inter-cat comms.They rarely meow at each other. Hisses and growls don’t count. I need to find a dog to try it on… to see if it is a scam. Working from home in a rural area means my cats are my most common face to face communication. People have asked me if there is something bothering my eyes when I slow blink hello at them by reflex. Never reach your your un-gloved hand at a unknown cat without going through this preamble. And even then let them sniff your hand first. Same for dogs. Let them sniff you first before petting. Stick with the top of the head and avoid the body as it may tickle and cats don’t react like humans (Hee hee hee “Stop it Stop it!”). No they react with their 32 sharp teeth to make you stop. If that don’t work you get the rear paws prey gutting maneuver. If you’ve ever seen this you would not like how it feels. Larger cats like Tigers, Lions, Panthers, etc. all do this maneuver too. I have a GPS pet-tracker. It’s based on cell phone technology and is available from Radio Shack. I’m trying to figure out how to secretly bug one of my family members but you have to recharge it and pay monthly fee for it. But it uses GPS and you can watch the bugee moving around on Google Maps just like watching UBER drivers moving around at 3-AM in the morning. Just download the app and be amazed how many middle eastern Uber drivers are up that early in the morning. You can tell where they all meet and congregate in bunches.They even have their own ZELLO channel but you have to be invited to listen in. What’s an “esoteric” in this context? IE it was a joke about how vague and unreproducible many parents have become. At its worst, there is no peer review, no incentive to publish early, no human readable content and the intended effect of reducing the reliance on “trade secrets” is completely undermined by the ability to hide said secrets “in the open” behind legal obfuscation, the cost of representation and a system intended to share engineering processes that instead shares lawyering ideas. Don’t get me wrong; the idea of patents was always to protect the profits of large organisations, not inventors. If it was to protect inventors, you’d be able to prove you came up with the process or refinement independently on the basis of prior art; but this is not the case. Case in point; FDM machine pioneers published examples of using various extruded polymers and mixtures (conductive, flexible, particulate, etc…) but are still receiving patents on them. Basically they boil down to “stick a stick of it in a 3d printer and see if it works” but these are “innovative” until proven otherwise. Or just look at Makerbot patenting devices created by the public with open source licenses. “mini war-driving server”, wouldn’t that be “mini war-prowling server”? or more accurately most of the time “mini war-napping server”. Does this mean they can shoot down cats like they can drones? Will they start enforcing 25 mile no-cat areas around sports matches? Cats don’t like noisy large crowds, and even if you strap a camera to it it won’t get an usable unlicensed superbowl broadcast going, so there is no worry for the ‘authorities’. I don’t think this would work in practice, cat’s don’t nicely position themselves in a perfect grid. And are likely to just go sit somewhere waiting for mice rather than to be all over the place searching networks for you. Also: even stupid people and complete tech-illiterate use WPA2 for networks, although with the known default MAC=password nonsense that problem can be overcome. Addendum: And I predict 99% of the cats would just go and sleep on the device and thereby completely blocking the signal.